Recently a reader contacted me with a question about Fra Angelico's fresco of the Last Supper. Is there a particular reason why some of the figures are kneeling and others not? And who is the female figure present? 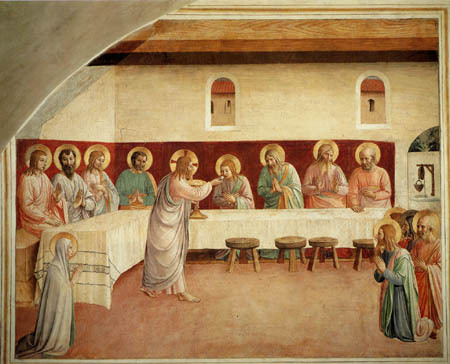 In answer to the first, I assumed that he was emphasising that the Last Supper is the Mass I don't know if there is any tradition that governs who knelt and who sat. 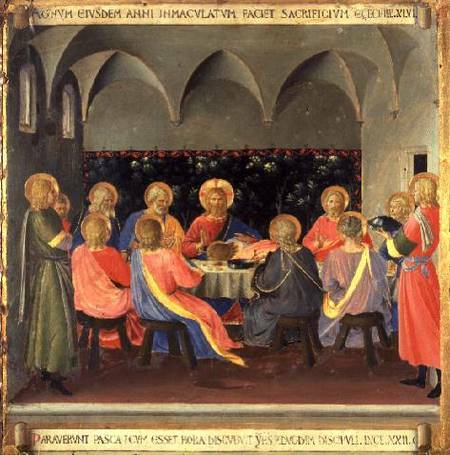 (I find it interesting that Judas, with the black halo is kneeling in line.) I guessed that the lady present is Our Lady (or perhaps Mary Magdalene) but didn't really know. Ordinarily the names would be present (in accordance with the theology of Theodore the Studite from the 9th century). So this is an additional question: does anybody know who she is and also, do you know if Fra Angelico put the names of those portrayed somewhere as part of this painting? If not I would be curious to know why not as names are necessary to make an image worthy of veneration. 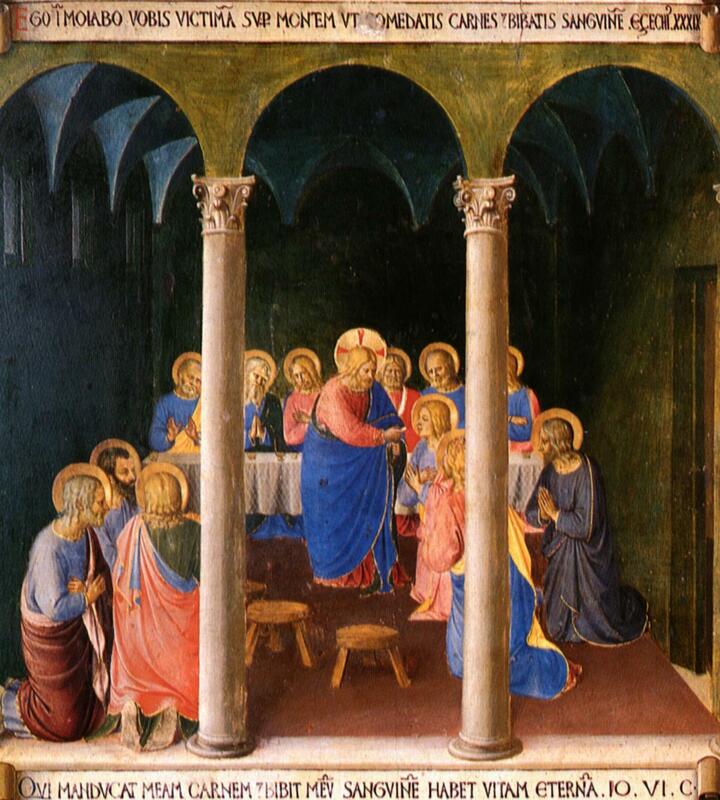 I found two other Last Supper images by Fra Angelico. One has keeling figures. The Latin inscription gives the connection with the wording of the Mass (I'm at my limits on Latin here, so please correct/translate anyone who is inclined!). Neither has a female figure.